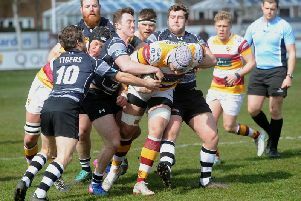 They went into their last Woodlands match three weeks ago as genuine title contenders but that 27-19 defeat by second-placed Chester was a massive setback to their promotion hopes. 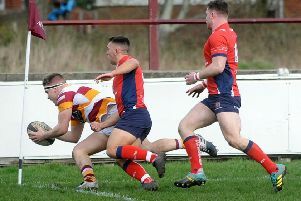 Defeats by Wharfedale and Huddersfield have followed, and a National Two North season which had promised so much could end with Fylde slipping to mid-table unless their final two fixtures bring a return to winning ways. Spragg told The Gazette: “Clearly we have had a disappointing few weeks and have taken a bit of a knock to confidence. I thought we lost our way a bit. “We did not give our best against a good Chester team and have not overcome the mental challenges. “We know we have missed an opportunity but after this experience we will be better prepared for this key part of the season next time. “We were frustrated at Huddersfield (losing 45-33) and decisions went against us at pivotal moments. But it’s important to remind everyone of the good stuff we have played this season. Speaking in yesterday’s Gazette, Fylde chairman Dave Young reflected on a positive campaign in which the return to winning habits had created a ‘buzz’ around the Woodlands. But that doesn’t satisfy Spragg, who added: “The feeling around the club is good but the ambition is not just to win more than we lose. Although little is at stake beyond an aim to return to the top four, Spragg will not be tempted to experiment with his line-up in the final fixtures. “I have no intention of giving players token appearances,” he said. “We have had a pretty consistent squad and I won’t just throw people in.